The owner of 911 Restoration Salt Lake City, Yoav Gueron, wants you to know that when it comes to water damage in the Draper area, that there is no one else more capable than us. From the first inspection to the evaporation of the last drop of water, we take pictures of all it. We then submit those forms to your insurance company in order to get you everything that you are deserving of in your time of need. Even if homeowners are curious about whether they need water repair services, Yoav is here for you with a free water damage estimate, if you need it. It is how we guarantee that all homeowners walk the path of the fresh start. Draper residents should never be left hanging out to dry. That is why our elite team makes sure that you are taken care of in every step of the restoration process. It is what needs to be done in order to bring you the unparalleled joys of having a company that truly cares about you. 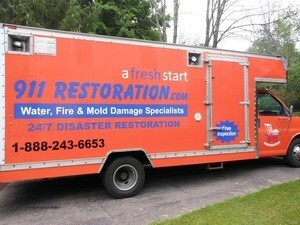 When it comes to water damage Draper team, there is no one else you can trust. We do more than just restore homes; we bring stability back into your life. We know how that after experiencing a bout of unwanted water that you need someone to guide you to greener pastures. That is why we carry all your burdens for you in the restoration processes. That includes talking to your insurance company. No one needs the added stress from having to relive the accident, so our professional water damage restoration team handles it for you. The key to successfully dealing with insurance companies is getting them to pay for damages is by documenting the entire process. If you need a water repair company in the Draper area, that will work hard for, then call us today. A Draper customer called recently asking if we could handle a pipe burst from an exposed line outside, and he was relieved when we let him know that we knew exactly how to help him. Our IICRC certified team was out there, fast. Now, usually with an outdoor burst it is fairly straight forward. Shut the water off, remove water if it has pooled by the home, and then afterwards clearing any water that swept into the home.But this one became a little more complicated. The burst went by unnoticed long enough that the water made its way into the basement. It was only a couple of inches, but it was still enough to cause a mold infestation if not remediated quickly. Luckily for our customers, we showed up with all our equipment. We always do. So, after stopping the water, we began pumping all of it out from the basement. Pretty soon there was no signs of any pooling water, and we finished off the job by allowing an air scrubber and dehumidifier to run the rest for the week. The space was bone dry, therefore keeping mold at bay. If you are need of a restoration company that can handle all your needs than call our water damage Draper team with 911 Restoration Salt Lake City today!